Last week the Massachusetts Supreme Judicial Court issued an important and strongly pro-consumer decision in the case of Rhodes v. AIG Domestic Claims, Inc., 461 Mass. 486 (2012). The decision erased uncertainties created by an Appeals Court decision in the same case (78 Mass. App. Ct. 518 (2010). The decision sends the message that insurance companies will have to pay when they do not treat consumers fairly. 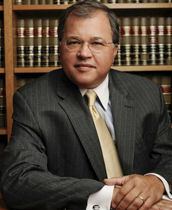 Attorney David W. White has written an in-depth summary, which you can read by on our website. In this case, the plaintiff’s car was hit from behind by an 18-wheel truck. The impact fractured her spinal cord and left her paraplegic. She also suffered broken ribs. She brought claims, along with her husband and her children. The claims management company was AIG Domestic Claims, Inc. (AIGDC). The company delayed making a settlement offer, then finally made a very low one. Another offer came during trial, this one only slightly better.